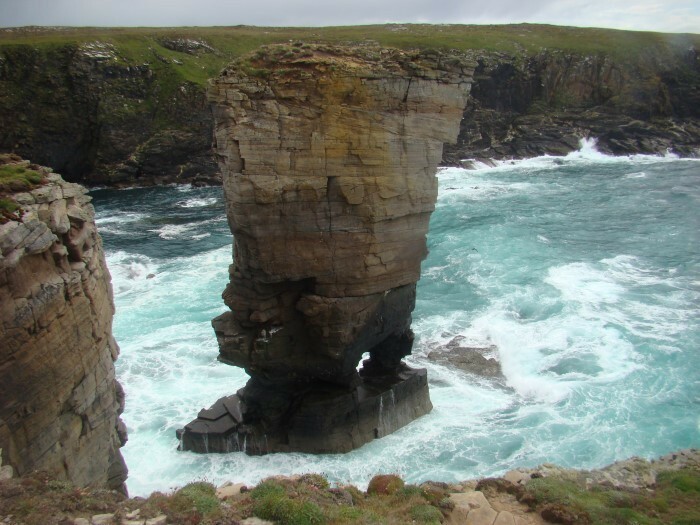 From Annie's Place at Birsay Palace, travel south past Boardhouse Loch and Twatt, then turn sharp right to the old shipping port of Stromness; but on the way, branch off to Yesnaby headland, where you can walk as far as your legs can take you over dramatic cliffs, surging waves, geos and stacks, with wild flowers beneath every step, including (May and July) the tiny Scottish Primrose. 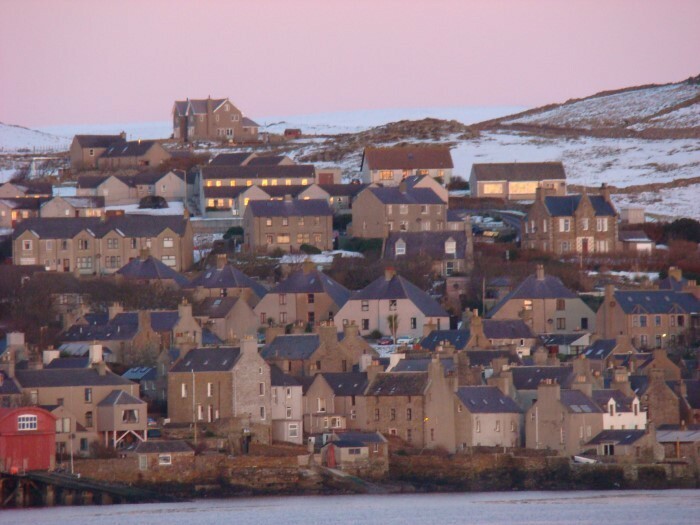 Stromness is a walk into the past, strolling along narrow paved streets, lined with beautifully restored period stone buildings. Study the heritage plaques on the many historic homes and sites connected to 18th century Hudson Bay and East India Companies; Captain Cook's world explorations and John Rae's arctic expeditions set off from Stromness - Farewell to Stromness - is a haunting reminder of its past and present fame. Look out for the Kyber Pass alleyway and poet George Mackay Brown's home as you make your way to the Ness Battery and World War II barracks with its Naafi, a time capsule of the 1940s. A walk from here along a shore looking across to the mountains of Hoy is recommended, not least for the sea views and the vista of a grand natural harbour which is Scapa Flow. 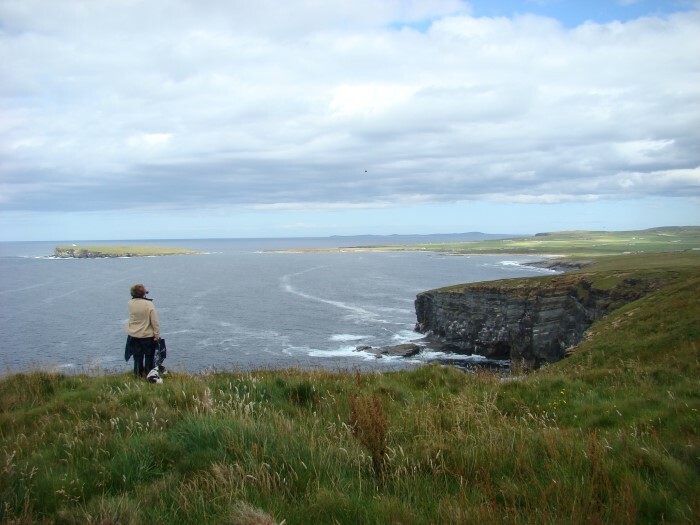 Driving home to Annie's Place, choose the single track coast road for your first sight of Skaill Bay and then on downhill for a grand panoramic view of the rolling breakers across Birsay Bay, Palace village and The Brough of Birsay.